be making history almost every time she steps on the tennis court as she speeds toward the second week of the US Open in search of a seventh title. The 22-time Grand Slam champion takes on Sweden’s Johanna Larsson in search of a place in the round of 16 on Saturday, and a 307th Grand Slam match win would lift her past Martina Navratilova for the most in the Open Era. Williams, who can move past the Open Era record she shares with Steffi Graf if she goes all the way to a 23rd Grand Slam title in New York, said the major match-win mark was on her radar at Wimbledon. 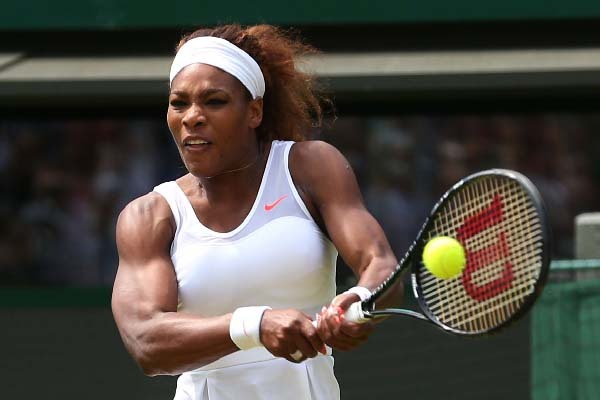 Williams is the star attraction every day she plays at Flushing Meadows. She’s scheduled for her first afternoon outing on Arthur Ashe Stadium after headlining the night session in her first- and second-round matches. World number two Andy Murray, vying to become just the fourth man to reach all four Grand Slam finals in a calendar year, takes on Italian journeyman Paolo Lorenzi. Lorenzi won his first ATP title at the age of 34 in Kitzbuehel in July. He’s in uncharted waters as his two victories so far this week equal his total prior wins at majors over his past 13 years as a pro. Women’s sixth seed Venus Williams, whose seven Grand Slam titles include US Open crowns in 2000 and 2001, opens the night session on Ashe against 26th-seeded Laura Siegemund in the first meeting between the two. Australian Nick Kyrgios takes his flashy game to the big stage of Ashe against Ukrainian Illya Marchenko in another first-time meeting.